Acquire the knowledge and confidence to independently design and run Belbin interventions. Leverage the power of the Belbin to address your organisation’s specific needs as you enhance performance. Belbin is the tool that allows managers and team members create the environment that enables team members play to their strengths and manage weaknesses within the team. One on one accreditation coaching: One on One & In house Accreditation formats allow for the accreditation course to be tailored to address and focus on your particular needs and that of your organisation. The origin, theory and definition of the nine Belbin Team Roles. The relationship between the different Team Roles and developing the skill to understand how they have an influence on team behaviour and productivity. How to generate and understand the key Belbin Team Role reports. 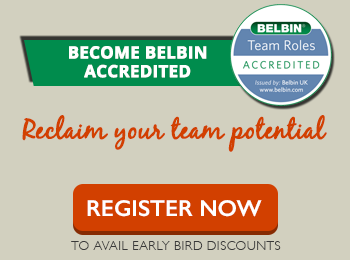 Uses to which Belbin Tem Roles can be applied eg: team building, personal and organisational development, coaching, recruitment, training needs and job analysis. 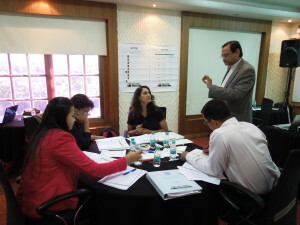 Practical exercises on giving feedback to individuals and teams. Specific application of Belbin and i7 to organisation requirements. Exposure to workshop ideas, exercises and the official Belbin games! The privilege to use the Belbin Accreditation logo on successful completion of Accreditation. Exclusive access to the ‘accredited professionals only’ webpage that hosts regularly updated resources such as articles and official Belbin slides that can be used for interventions. Email & telephone support and significant discount on all Belbin products and profiling services to help you conduct your own Belbin interventions! Completion of online self perception and observer inputs to facilitate generation of Belbin Team Role Reports. Reading of text “Team Roles at Work” by Dr. Meredith Belbin. Contact us to know more and book your accreditation course.